Mayawati also demanded that President's Rule be imposed in the state. 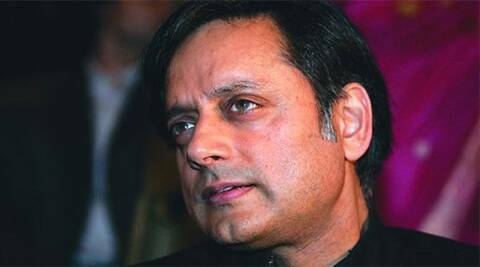 Shashi Tharoor also said he had no information about a reported plan of Rahul Gandhi to visit Badaun and meet family members of the two sisters. Voicing concern over the law and order situation in Uttar Pradesh, Congress on Friday asked the SP government to take all action in the gangrape and murder case of two Dalit sisters, but said it would not demand a CBI probe into it or President’s Rule in the state “right now”. Party spokesperson Shashi Tharoor also said he had no information about a reported plan of Rahul Gandhi to visit Badaun and meet family members of the two sisters. “We are concerned about lawlessness in Uttar Pradesh. We are urging the state government to investigate and take all action. Uttar Pradesh is a state where particular attention must be paid on law and order,” he said, recalling that the state has recently witnessed communal riots. Charging that there has been a spurt in crime cases in Uttar Pradesh after the Lok Sabha polls, BSP supremo Mayawati demanded a CBI probe into the gangrape and murder case. Mayawati also demanded that President’s Rule be imposed in the state.